The heart of the app are the realtime live-odds which are automatically updated all 60 seconds. With just one swipe you’ll find the best odds for your live-bet while following the livescore of the game. So the app doesn’t just help you to save valuable seconds but also guarantees you to reach the best possible profits on your bets! Odds comparison is visible at first sight and with just one click you can go to the mobile betslip of each bookie! The app further offers useful statistics before the start of each game as well as in live-mode. Another highlight is that the app provides exclusive bookmaker offers and tells you about the freshest promotions on the sports betting market. And now the best: the app is totally free and always will be! 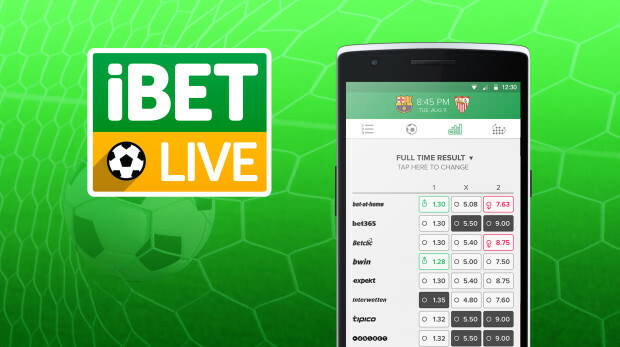 More detailed information regarding the iBetLive football betting app as well as frequently asked questions can be found here! Previous PostWe finally have tips for all Matches!